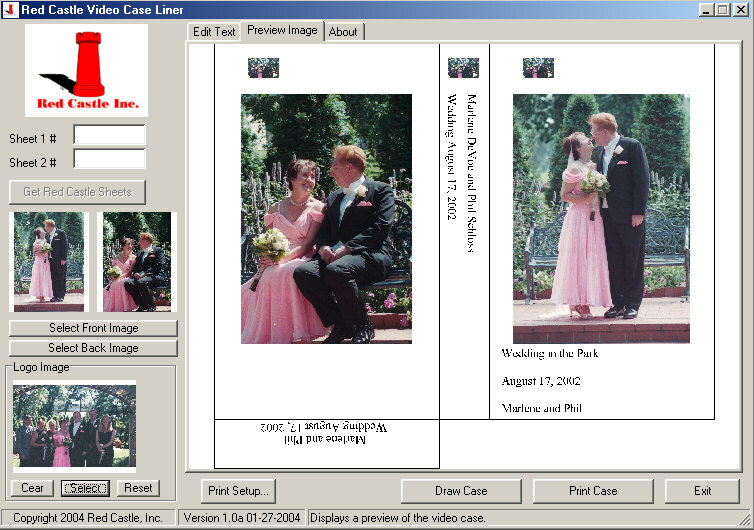 Printing Video Cases for Sheets of Images -- FreeWare by Red Castle, Inc.
Click here to download a program to print video case inserts for sheets of images. 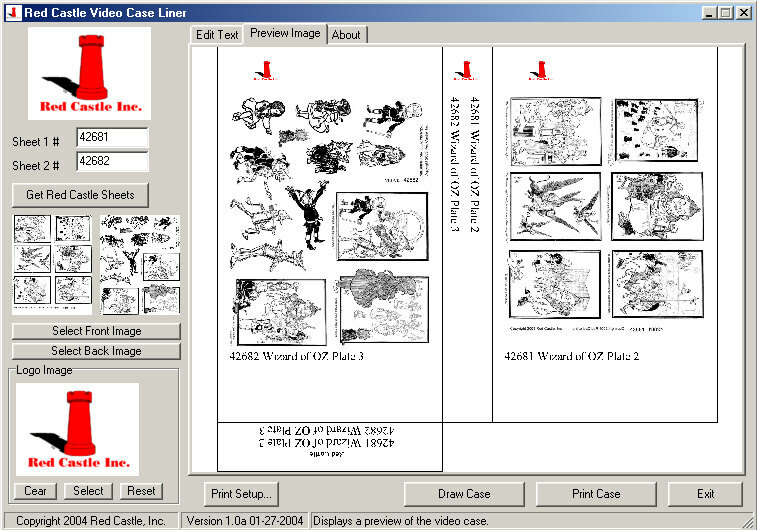 To use, download the program and run the program, then follow the instruction on the screen. Remember where you have saved the file after downloading it. 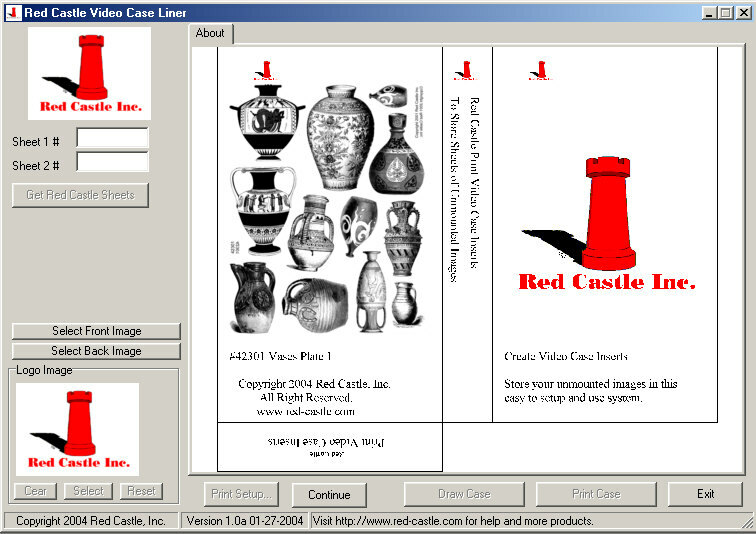 Link to one place you can purchase VHS video cases (without hubs). 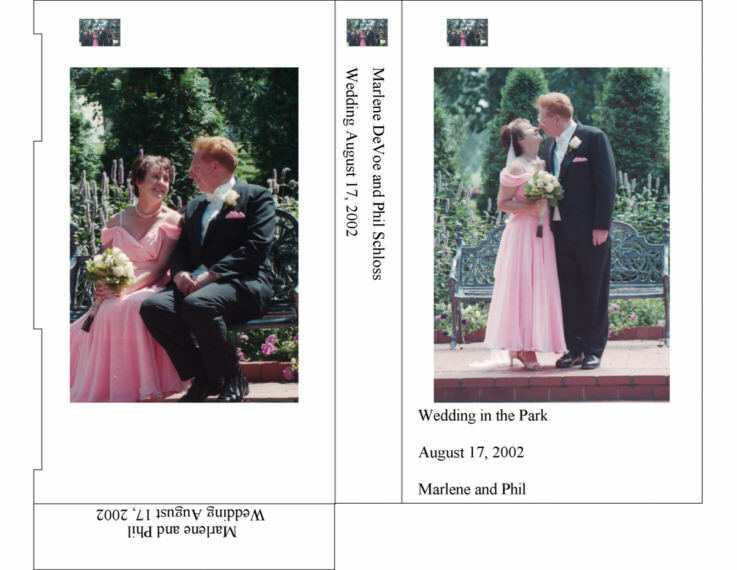 A special thanks to Kristina Ernst for this idea, and to Cindy Cade who told me about using the video cases to store their unmounted images, and where I could purchase them. When I saw how nice the cases were and how they worked for not only unmounted images but also for my markers, scissors, paper cutter blades, etc. 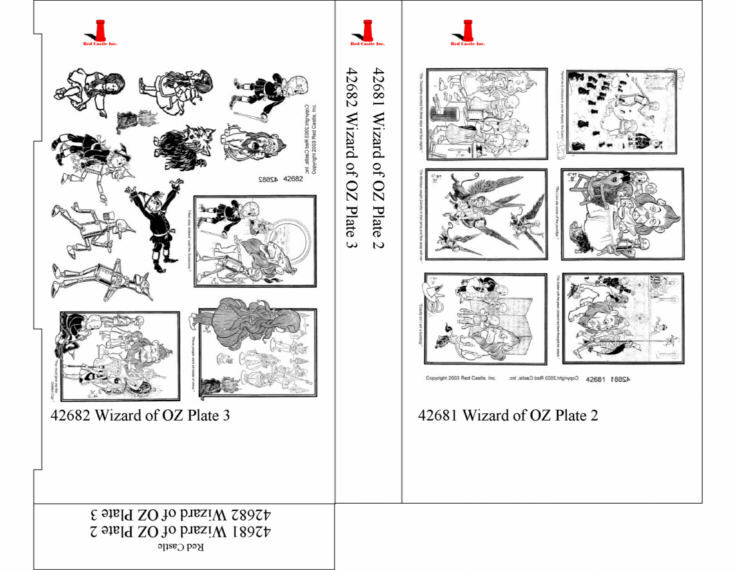 I knew I needed a program to print the inserts. Everyone who uses this idea should send Cindy a thank you email when you see her on the email lists for helping us all get more organized.